Obituary for Owen Smith, Sr.
Rev. 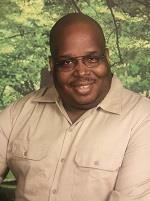 Owen L. (Big O) Smith, Sr., 53, passed away Saturday, October 13, 2018 at his residence. He was a member of Piney Woods Baptist Church. He was preceded in death by his father, Gus, Studyvent; grandmother, Fannie Mae Andrews; uncle, Robert Andrews. He leaves to cherish his memories, a loving and devoted wife for 21 years, Mary J. Smith; his loving mother, Mrs. Barbara Studyvent; eight children, Camille, Martel, Owen Smith Jr, TaMica, Willie, Te’Rance Dillard, Asha House, and Joyel (Carnell) Starling; fourteen grandchildren, Jamiyla, Jayla, Jaylan Smith, Anthony Edwards, Jr., Timothy Burrage, Jr., A’Shawn Johnson, Dynasty Lovelady, Bailee Ellison, Deanna Ware Dillard, Ivory Dillard, Ja’Cori Javon, Jeremiah, and Jabrice Starling; one godson, Vanness Wordlaw, Jr.; one sister-in-law, Shirley Stevenphson; three brother-in-laws, Raymond Thompson, Ricky (Effie) Thompson, Ronnie (Renee) Thompson; Three aunts, Maeola Shropshire, Shirley (Tony) Carpenter, Evelyn Shropshire; other relatives and dear friends. The body will lie in state beginning at 9:00 am at New Horizon Baptist Church, Thursday, October 18, 2018, followed by the funeral service at 11:00 am. Interment: Forest Hills Cemetery. Arrangements by John P. Franklin Funeral Home, 1101 Dodds Avenue, 622-9995. It broke my heart to hear of your passing...you will truly be missed Mr. Owens!! My condolences goes out to the family...I wish I could make it tomorrow...but I cant!! May you rest in Easy!!! My prayers are with you in this time of sorrow. So sorry to hear of your loss. As the days go pass may you experience the love of our heavenly Creator Jehovah God as he strengthen you and your family to get through this trying time. (Psalms 83:18) Remember he loves your loved one also and has promised to get rid of sickness and death forever and by means of his son Jesus Christ, bring back to life our loved ones. (Revelation 21:4; John 5:28,29) Please accept my deepest condolence jw.or website for more encouragement. Dear Family of Owen Smith, I was his English teacher at McKenzie College years ago. I remember him as being a bright, pleasant addition to the class. I am sorry for your loss, and I will keep you in my prayers.